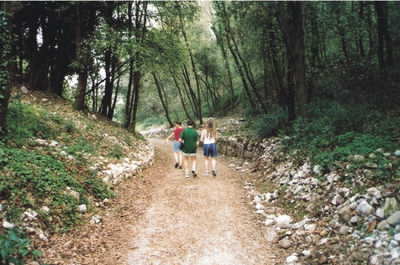 "Lake Garda Hiking & Walking. Lake Garda hiking is brilliant with so many spectacular places to go for a hike. The stunning mountains around the top part of the lake offers awesome views and you can find loads of different routes, depending on how hard of a hike you want. Or maybe you just fancy a leisurely stroll, in which case you could take the cable car up the mountains or amble along the beautiful lakeside. You can go hiking around the south part of the lake and this is great if you want a easy hike with gentle hills. If you want a serious work out, then you must go to the north where the mountain paths give you unbelievable views of the lake. Every location offers a different angle on the lake and the higher you go, the more impressive the view becomes. 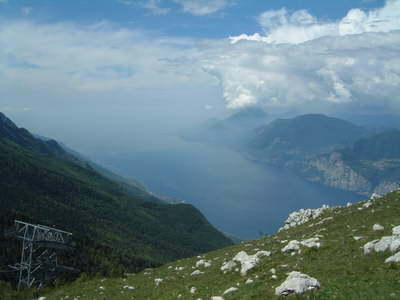 Going right up to the top of Monte Baldo and looking down over the whole lake is an experience we will never forget! If you plan to do this in the warmer times of the year, then go as early as you can, as the heat haze from the water soon starts to restrict your viewing distance. 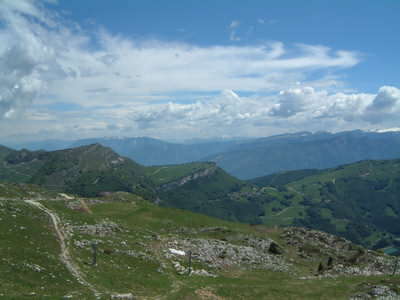 Monte Baldo is around 6000ft at the peak and it is great to go up on the cable car and then wander around this area and be amazed by the scenery. Remember that it is going to be a lot cooler at this elevation so you should consider taking an extra top, even in the summer! The flowers here are also beautiful, and for nature lovers there is something at every turn to catch the eye. There are so many places for some amazing Lake Garda hiking, just get a good map and have fun exploring! 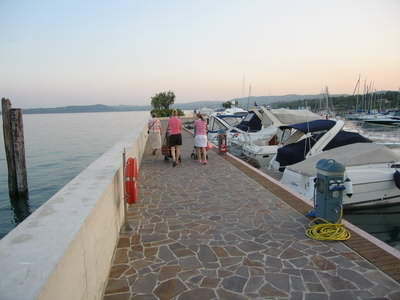 For those who enjoy a more leisurely walk, then there are tons of lakeside paths and promenades that are easy to reach. We love wandering down by the lake, watching the boats drift by and listening to the gentle lapping of the water. It is so relaxing and there are some very romantic places to have a stroll. If you feel like a rest or just stopping to admire the view, you will often find benches on the lakeside. There are loads of historic towns around Lake Garda to walk around too. You need never be stuck for opportunities for a beautiful and enjoyable walk.